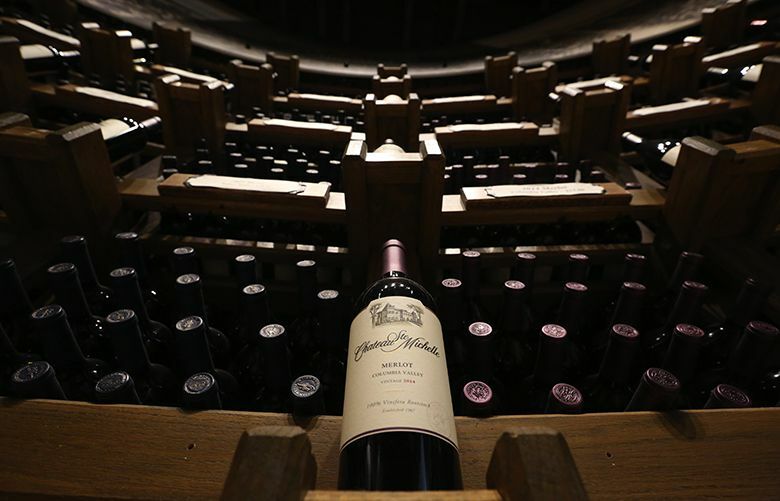 Andy Perdue selects Northwest wines perfect for Thanksgiving, Christmas and New Year’s. THE HOLIDAYS CAN be stressful for us wine geeks, as family members usually rely on us to select options for three major events. • All wines come from the Pacific Northwest. The quality and diversity we find in our corner of the continent require us to look no farther. • A diversity of producers and wine varieties. With close to 2,000 wineries operating in the Northwest, there’s no reason not to share the love, and we should explore the bounty of the more than 100 wine-grape varieties grown here. 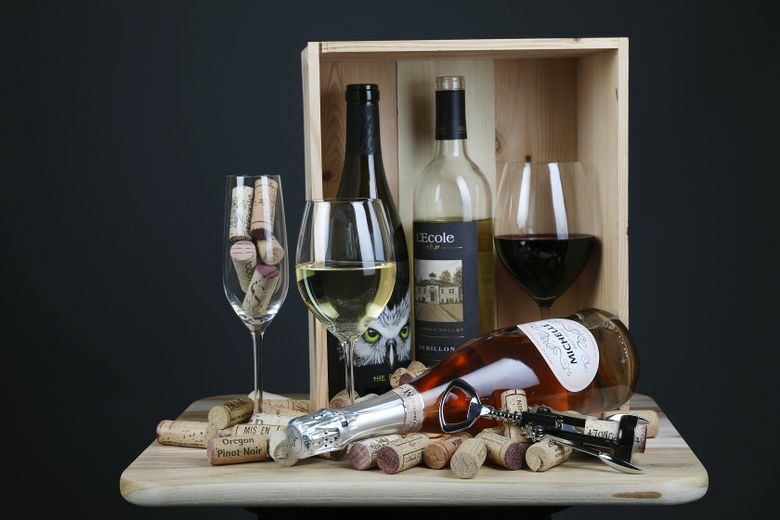 • Each case should have at least one riesling, dessert wine, cab and bubbly to satisfy the diversity of palates that will gather around your holiday table. Ask for these wines at your favorite wine merchant, which usually can order them for you, or contact the wineries directly; they’ll be happy to ship to you. Always the most challenging holiday meal for wine pairings because of the diversity of flavors on the table. I solve this by opening several bottles to satisfy everyone from Uncle Joe to Grandma. Domaine Ste. Michelle brut rosé, Columbia Valley, $12: Easily the best bubbly around and the perfect way to kick off the meal, plus it pairs with everything on the table. Westport Winery Garden Resort NV Rapture of the Deep, Washington, $28: A stunning sparkling wine using cranberries grown in Grays Harbor County. Mercer Estates 2015 malbec, Horse Heaven Hills, $24: This Prosser winery is starting to specialize in malbec, which has a great future in Washington. Julia’s Dazzle 2016 rosé, Horse Heaven Hills, $20: Part of the Long Shadows collection, this rosé from pinot gris is consistently among the best in the region. DeLille Cellars 2014 Signature syrah, Yakima Valley, $44: This Woodinville producer makes remarkable and luscious syrahs. Your guests are certain to ask for a second glass. Cinder Wines 2016 off-dry riesling, Snake River Valley, $18: Former Ste. Michelle winemaker Melanie Krause does her work in Boise now, and this is the top riesling in the Idaho. Knudsen Vineyards 2014 pinot noir, Dundee Hills, $55: From one of the oldest, most-storied vineyards in Oregon comes this staggeringly elegant red. Tsillan Cellars 2016 Estate Gewürztraminer, Lake Chelan, $20: There’s no better match for turkey than gewürz, and this is among the best in Washington. Abeja 2014 merlot, Columbia Valley, $45: This boutique producer in Walla Walla is known for its world-class merlots. Chateau Ste. Michelle 2016 dry riesling, Columbia Valley, $9: Among the most remarkable rieslings on the planet, widely distributed and inexpensive. Maryhill Winery 2014 Elephant Mountain Vineyards carménère, Rattlesnake Hills, $40: This rare Bordeaux variety shows promise in Washington, and this a great example. Bainbridge Vineyards NV Raspberry Dessert Wine, Puget Sound, $23: Made from Bainbridge Island berries, and such a great way to end your feast. Christmas dinner typically is focused more on roasted meats than fowl, so that means more pairing opportunities with bolder, dark reds; you’ll see more cabs and malbecs here. Domaine Ste. Michelle NV brut, Columbia Valley, $12: This delicious bubbly, boldly dry, will pair with nearly everything on the table. Barnard Griffin 2011 reserve cabernet sauvignon, Columbia Valley, $50: A great, big red from this top Richland winery. Reininger Winery 2014 Pepper Bridge Vineyard malbec, Walla Walla Valley, $59: Often considered the top malbec in the Northwest, this dark, great-flavored red will pair well with prime rib. Tenet Wines 2015 The Pundit syrah, Columbia Valley, $25: This big, juicy syrah from this Ste. Michelle project will delight your holiday guests. Barrister Winery 2013 merlot, Columbia Valley, $33: This Spokane producer crafts among the best merlot in Washington. Van Duzer Vineyards 2014 Westside Blocks Estate pinot noir, Willamette Valley, $60: This small winery near Salem, Ore., is quietly crafting some of the Northwest’s top pinots. If duck is on your holiday menu, this wine will be a real treat. L’Ecole No. 41 2015 Estate Luminesce white wine, Walla Walla Valley, $22: This white Bordeaux blend of semillon and sauvignon blanc is a great foil to the big reds on the dinner table. Cedar River Cellars 2016 Mormor riesling, Yakima Valley, $18: This small producer in Renton is crafting some seriously good wines, starting with this spectacular riesling. Palencia Wine Company 2016 albariño, Ancient Lakes of Columbia Valley, $20: This Spanish white grape holds tremendous promise in Washington. Its searing acidity and explosion of flavors will serve you well. Fidelitas Wines 2014 estate cabernet sauvignon, Red Mountain, $75: Charlie Hoppes’ first wine using fruit from his own vines on Red Mountain is an astonishing effort that should go on the list of every serious wine lover. Januik Winery 2014 Ciel Du Cheval Vineyard cabernet sauvignon, Red Mountain, $45: A classic vineyard from a classic Washington winemaker means a great red that will be a hit with your guests. Chateau Ste. Michelle 2014 Ethos Reserve late harvest riesling, Columbia Valley, $40: At the end of a long, satisfying meal surrounded by family, there’s no better way to finish than with a luscious dessert wine. This offering from our region’s oldest and largest winery needs nothing more than a plate of soft cheese, dried fruits and perhaps some nuts. This is a funny holiday, which we typically associate with sparkling wines, the traditional beverage for sending out the old year and welcoming the next page of the calendar. If you’re having a gathering to welcome 2018, it’s likely to be a casual affair rather than a formal dinner, featuring appetizers and a bar of open bottles and other beverages. 14 Hands Winery NV Brut, Columbia Valley, $15: This is an astonishing sparkler from the state’s No. 2 winery. Buy by the case, and celebrate often. Gamache Vintners 2012 malbec, Columbia Valley, $30: This Prosser producer uses estate grapes, and the winemaking prowess of Charlie Hoppes results in a delicious, bold red. Grantwood Winery 2015 syrah, Walla Walla Valley, $18: This boutique producer on the outskirts of downtown Walla Walla uses grapes from top vineyards, crafting wines of extraordinary quality at remarkable prices. Chateau Ste. Michelle 2015 cabernet sauvignon, Columbia Valley, $15: The 50th anniversary bottling of this cab is a gorgeous wine, tasting twice as expensive. Easy to buy by the case — and make your house wine. Eleven Winery 2015 Sugarloaf Vineyard malbec, Yakima Valley, $41: This Bainbridge Island producer sources fruit from a top Yakima Valley grower to craft a superb malbec. 14 Hands Winery 2016 Rosé, Columbia Valley, $12: A stunning, versatile dry pink from 14 Hands. Avennia 2014 Boushey Vineyard Arnaut syrah, Yakima Valley, $50: Here’s a great wine. Open only if you really like your guests. Huston Vineyards 2016 Chicken Dinner White, Idaho, $16: This riesling-based blend from Idaho is a yummy and affordable sipper that pairs with a variety of foods, thanks to pleasing flavors and structure. Claar Cellars 2016 White Bluffs unoaked chardonnay, Columbia Valley, $16: Looking for a solid, crowd-pleasing chardonnay? This bottling from a Pasco winery fits the bill. Finn Hill Winery 2013 The Gnome riesling, Columbia Valley, $18: Rob Entrekin, owner of this Woodinville winery, crafts a beautiful, clean riesling that pairs with a variety of dishes. Willamette Valley Vineyards 2015 estate chardonnay, Willamette Valley, $30: Oregon is revisiting chardonnay in a big way, and here is one leading that charge. Kiona Vineyards 2015 Estate Fortunate Sun Late Harvest chenin blanc, Red Mountain, $35: Finish off your festive evening with this lovely dessert wine from Kiona, made from some of the first vines planted on Red Mountain.